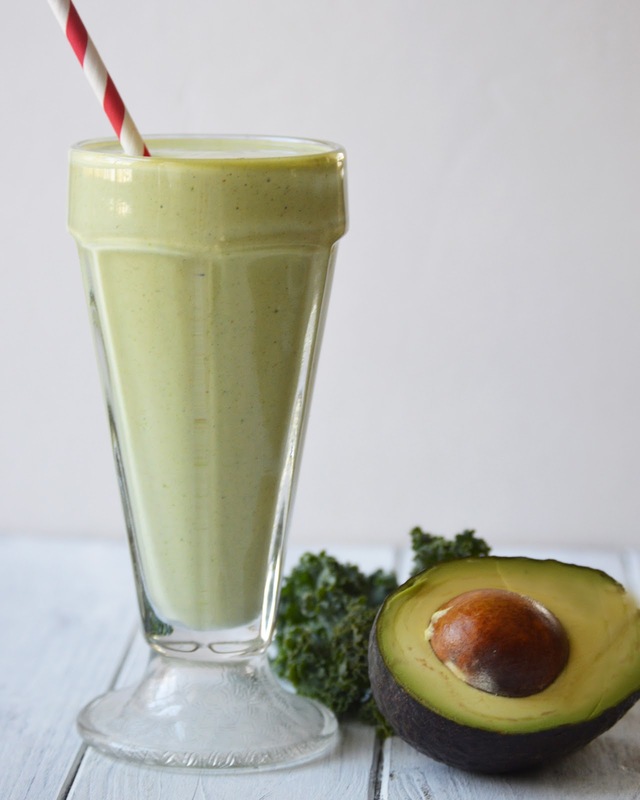 The Wholesome Foodie: Shamrock Shake! Saint Patrick's Day was kind of a big deal growing up in my home. We had corned beef, cabbage, and potatoes every Saint Patrick's day, did fun crafts, and the best part is that I was born 2 hours and 3 minutes after Saint Patric's Day.. so it's also a time to celebrate my birthday! It also means Spring is fastly approaching. We live in New England and we tend to get some pretty wonky weather around this time of year.. but this time of year means we aren't far, we just have to be patient. I'm sure you have seen the Shamrock Shakes advertised at McDonalds. Yes, they are delicious and they're a treat, but wouldn't it be nice to be able to enjoy them for more than one day? Behold, my healthy Shamrock shake! 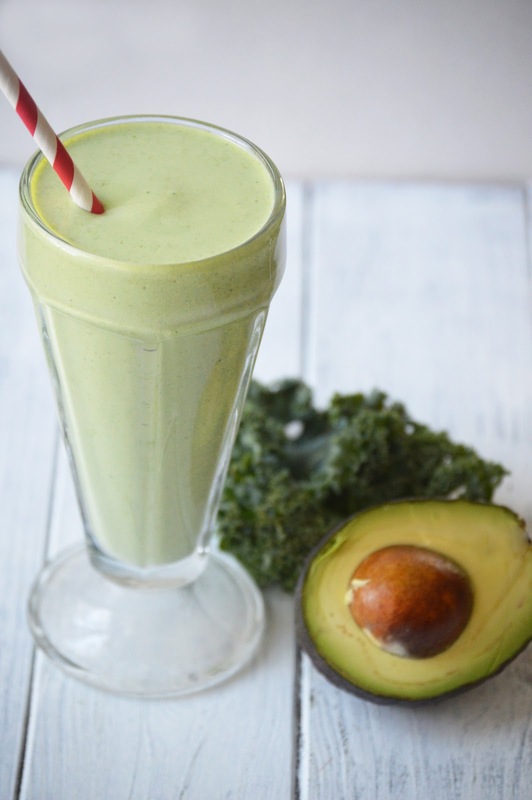 My kids LOVE this shake and I feel good knowing that they're getting a serving of veggies in. If you try this, let me know how it goes and be sure to post some photos of your children (or you!) enjoying one! 1.In a high-speed blender, blend all ingredients until smooth. Add more ice or milk to desired consistency.